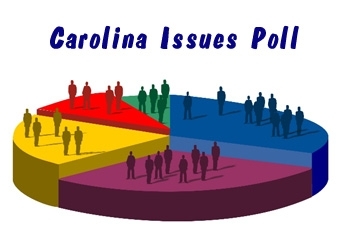 NC Policy Watch is happy to announce the release of the latest edition of its Carolina Issues Poll. This month’s poll quizzed 664 voters throughout the state between September 25 and 26 to test their attitudes on a host of timely issues related to the rights of workers and the laws that protect them in the workplace. Questions in the poll were developed by Policy Watch staff and then vetted and posed to registered voters by the nationally recognized, Raleigh-based polling firm Public Policy Polling. The poll has a margin of error of +/- 3.8%. A recent series in Raleigh’s News & Observer highlighted the problem in which many North Carolina employers do not procure genuine workers compensation insurance for their employees. When asked whether they would support tougher laws to mandate such protection, North Carolina voters voiced strong support. Q1 A recent series in Raleigh’s News & Observer newspaper found that many employers — particularly in the construction industry — fail to provide workers’ compensation for their workers. This has resulted in many injured workers being left permanently disabled, with no income on which to live. Would you support or oppose laws that strengthen enforcement in this area and require all employers with three or more employees to provide genuine workers’ compensation insurance? Voters also voiced strong support for tougher laws to rein in businesses that hire children to do agricultural work. Q2 Research shows that agricultural workers have one of the highest rates of injuries and illnesses. North Carolina law allows farms, unlike other employers, to hire children as young as 12, or even younger in some circumstances, to harvest crops. Would you support or oppose changing the law so that children who work in agriculture receive the same protections as children who work in other industries? When it comes to the problems of “wage theft” and “misclassification” of workers by their employers, voters also expressed overwhelming support for tougher laws and law enforcement to protect employees. Q3 Data from the North Carolina Department of Labor show that in 2011, thousands of low wage workers lost millions of dollars because employers simply did not pay them for hours they worked. Would you support or oppose stronger law enforcement in this area by the Department of Labor and increased penalties for employers who fail to pay workers wages to which they are lawfully entitled? Q4 A problem for many low-wage workers in North Carolina is that they are never told by their employers whether they are considered “employees” or “independent contractors.” Would you support or oppose a law that requires all workers to be told in writing when they are hired whether they are an employee or an independent contractor? Our poll also tested voter attitudes on the issue of paid family and medical leave. Throughout the country, a growing movement had been coalescing behind the idea of laws that would guarantee some amount of paid family and medical leave to workers. At least two states have adopted such laws. The new poll shows that voters support such laws and that many are already making use of such policies in their own workplaces. Q5 Now, switching topics slightly, have you taken time off from work to care for a child, parent, spouse, or other family member, to care for a newborn or newly adopted child, or to address your own serious health condition? Thinking back about the most recent time you took leave from work to care for a seriously ill family member, your own serious illness, or a new child, about how much time did you end up taking off from work: two weeks or less, three to six weeks, or more than six weeks? Q7 During this most recent period of leave, how much pay did you receive: all or close to all of your normal pay, some pay but less than your normal pay, or no pay at all? Q8 Some have suggested that North Carolina should follow the lead of some other states and create a family and medical leave insurance program through which employees could take a limited amount of time off to care for a newborn, a newly adopted child, or a close relative who is seriously ill, or to address their own serious health condition. Employees would receive approximately two-thirds of their regular pay — up to about $600 per week from the insurance fund. Would you support or oppose such a proposal? Q9 The entire cost of the family medical leave insurance could be paid through withholdings from the employee’s payroll taxes, which would average less than one dollar per week per employee. Knowing this information, would you support or oppose creation of this program? Q10 In another model, the cost of the family medical leave insurance could be a split cost between an employer contribution and withholdings from the employee’s payroll taxes, which would average less than one dollar per week per employee. Knowing this information, would you support or oppose creation of this program? To read the entire poll, as well as the crosstabs, click here.